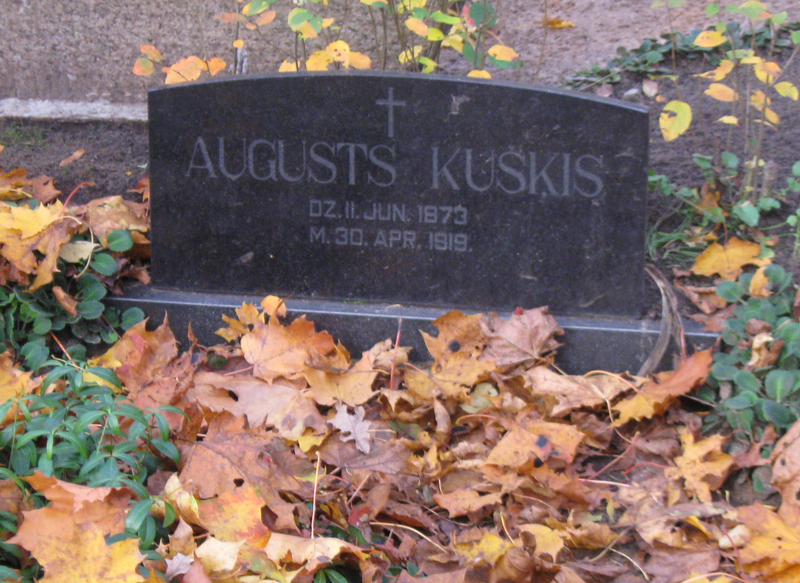 In this series, I am providing pictures of tombstones from Latvian cemeteries, all with death dates prior to 1945. I do not have any further information on the people mentioned. Photo taken by me, October 2012. Click to enlarge. 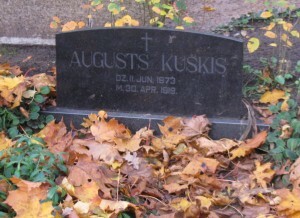 Name: Augusts Kušķis, born June 11, 1873, died April 30, 1919. ← Calling All Descendants of Wisconsin Latvians!